We’ve just started to catalogue books published at the end of 1914. It’s noticeable how fast and how completely the outbreak of the First World War came to dominate the books published. 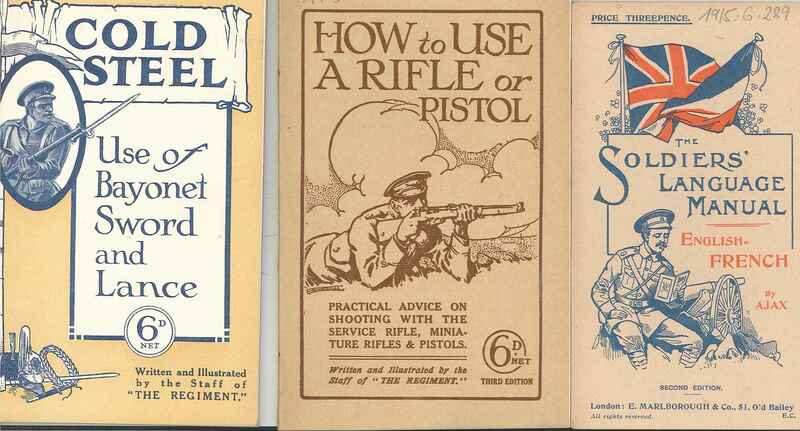 Since about 1907 we’ve noticed several pamphlets on the arms race, and glossy brochures about Britain’s new warships, but by the end of 1914 every shelf in the bookshops must have been filled with books about the war. Some of these are so out of date as to be of no practical use: the book entitled ‘Cold steel’ has a chapter on dealing with ‘savages’ which I think would be useless when faced with an enemy armed with guns instead of spears. The author of a book on the treatment of wounds explains that his advice is based on experience of the Boer war. 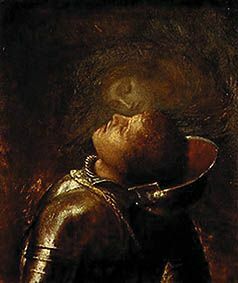 England, my England, a war anthology. 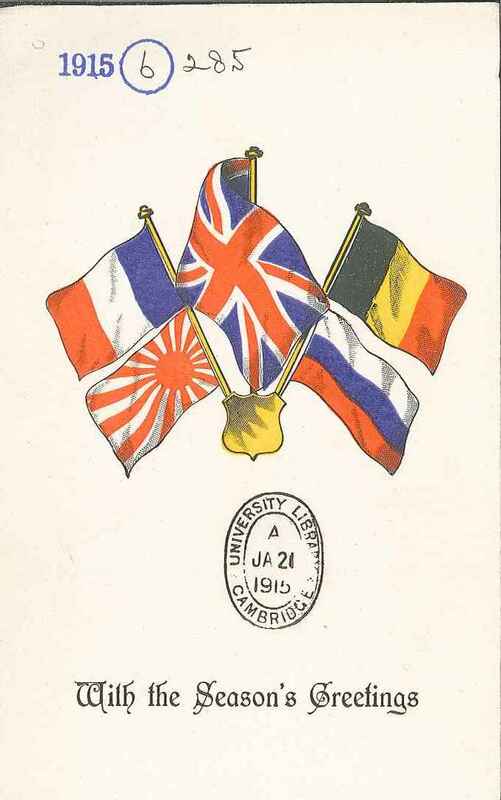 And finally the card (left) issued for Christmas 1914.